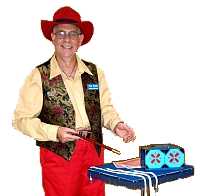 Vince Haines of Pop Magic is a Perth based professional magician and entertainer. Vince runs PerthMagicShop.com.au. Contact him with any queries you have.